The Government has announced details of a major expansion of local DAB transmitters, with 182 new transmitters across England, Scotland, Wales and Northern Ireland. The plan will also allow modifications to 49 other sites and will take the population coverage of local stations on DAB from 76% today to 91.2% within 18 months. The first new transmitters will be built in March 2015 and the programme will complete by September 2016. In total, nearly 40,000km of roads will be covered by the local DAB signal. 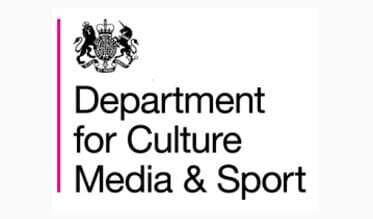 The Department for Culture, Media and Sport has committed to providing funding to Multiplex Operators up to a maximum total of £7.75 million for the plan. The sites getting new or improved transmitters include 12 in Cornwall, 12 in South East Wales, 11 in Tyne & Wear and 7 in Glasgow. The work to build the new transmitters will be jointly funded by the commercial mux operators, Government and the BBC, and demonstrates significant progress and cross-industry collaboration since the signing of the local DAB Memorandum of Understanding in June 2012. The MoU identified 13 local DAB multiplexes that were due to be launched. In the last two years, 12 new local DAB multiplexes have been launched with Lincolnshire scheduled to launch in mid-2015. Digital Radio UK welcomed the landmark agreement, and confirmed that details would be announced by Minister Ed Vaizey at the Drive to Digital: NOW event to be held at BBC Broadcasting House on 6 February. The event will also include announcements on digital radio policy and progress and speakers include Minister Ed Vaizey, BBC Director of Radio Helen Boaden, Group MD of Radio for Bauer Dee Ford, and CSO of Global Radio Will Harding. Ford Ennals, CEO of Digital Radio UK, said: “We welcome this landmark agreement and the benefits of providing local radio stations on DAB to millions of households and thousands of miles of roads and motorways. This is excellent news for listeners and reflects the commitment from broadcasters and DCMS to delivering a digital future for UK radio. It also means that the Government’s coverage criteria for a radio switchover will have been met by the end of 2016."